At the helm of our floral design team, Gabrielle has studied with the very best designers in the industry and is a card-carrying member of the Chapel Designers, a prestigious international collective of botanical geniuses. This girl knows her way around a compote, and she has been known to shed a tear of joy at the sight of a particularly spectacular Japanese ranunculus. We source superior varietals from Holland and Japan, while also working closely with our friendly, neighborhood, tri-state area farmers because we wholeheartedly believe in supporting local growers and providing our clients with the finest flowers for their weddings and events. 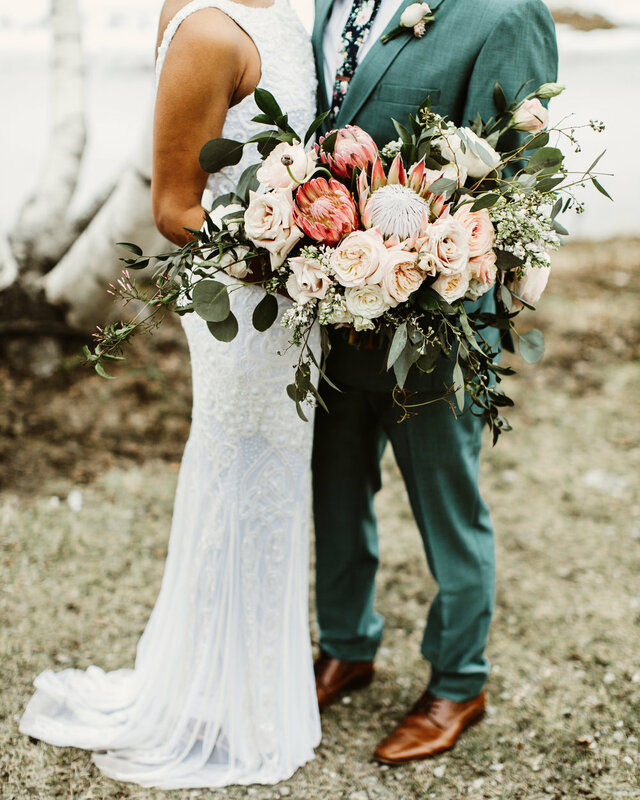 We love working within the seasons, and our floral designs tend to highlight romantic, high petal-count blooms, unique greenery, fruiting branches and delicate vines. We can work in any style - from modern and structural to organic and bohemian, and have produced everything from a 50 foot long floral hedge to the tiniest boutonniere. We suffer from a strong to quite strong shopping addiction, and our archive of hard goods is constantly evolving. 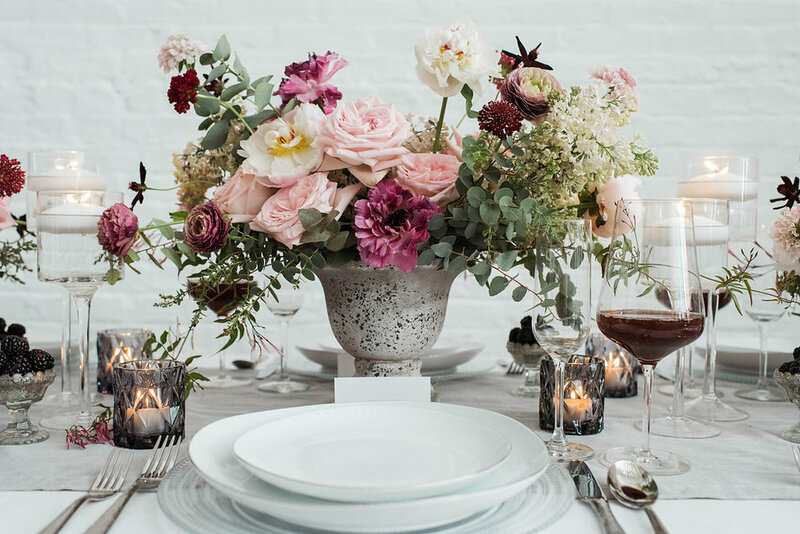 Our clients have complimentary access to our collection of vases, candle holders and décor items, available to accent and enhance our event designs. Our inventory not striking a cord? We’ll happily source something fresh and new just for you. We’re already in the car.